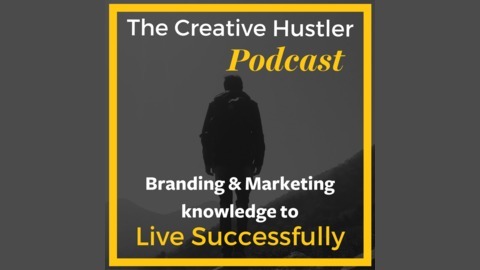 We share knowledge from our own branding and marketing consultancy to give YOU, the newbie online entrepreneur, the strategies, tactics and hacks needed to live successfully. 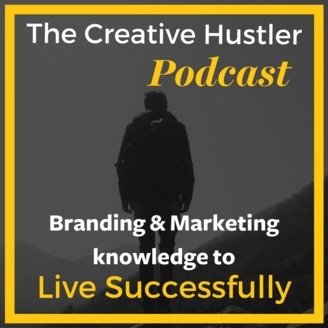 133: New Beginnings for The Creative Hustler team! What's Up Creative Hustlers! Steven & Melissa attend SoCal Marketing Club event with Alan and record their final episode! Don't miss it! [00:38] live from SoCal Marketing Club event! [1:20] Fifteen months of cross country road trips. [1:49] Big Announcement: We’re Pivoting! [2:54] Steven & Melissa own a consultancy: Latin & Code. [3:48] It’s time for us to pivot more. [4:30] We wanted to talk with others who were traveling, being creative and keeping it organized. [5:03] We’re at the end of our digital nomad journey, and the end of our Creative Hustler journey. [5:56] It’s time to focus on our Latin & Code brand - the value we bring. [6:20] We’ve interviewed Chip Conley, head of Global Marketing at Airbnb to Grammy Award Winning Jazz musician Peter Cincotti. Amazing interviews from around the world. [06:55] Melissa still loves FollowUpThen! [7:30] Amazing guests like Mike Jones and Andrew Easton from Droodle Books. [7:58] We’re taking the knowledge and making it more powerful the second time around. [8:23] We promise, it won’t be dry! Steven & Melissa can’t be dry! [9:37] We’re back with our next guest, Bill Wilkinson from Power Digital Marketing. [10:36] Bill’s elevator pitch for Power Digital Marketing and how he was the first employee. [12:43] What is a technical SEO? [14:30] There are so many other foundational elements that relate to other marketing. [15:16] SEO is the foundation of any digital marketing channel. Hands down. [16:59] There’s a lot of transparency at Power Digital Marketing - it’s all over the HQ. [17:43] How can you start SEO effectively and efficiently when you are just starting? [18:51] What’s next for SEO? [19:44] What is schema in SEO terms? [22:33] Bill’s family holiday traditions. [24:47] What Doors of Change does! [25:58] What Doors of Change brings to the homeless youth in San Diego. [26:35] Award-winning music & art program called Taking Music & Arts to the Streets, and it’s incentivized. [26:55] 330 youths have earned an instrument or art supplies. [27:48] Come visit DoorsofChange.org and see what they do! [28:30] The benefits of the arts and what these youths get from coming into Doors of Change. [29:50] We have to help ourselves here first, and then we can grow to other cities. [30:50] Once we have two more locations in CA, we will start going out and teaching other cities. [32:07] Coming full circle with John Bertino - first to the last episode! [32:52] Steven & Melissa are moving to New Jersey! [33:33] Don’t forget The Agency Guy! [34:00] If you’re in the northeast, and you need a coworking space, check out 1776! [34:50] It all started with Alan and John. [35:09] We have had an awesome journey on this podcast. [35:35] We’re going to have someone count how many times John Bertino's name is mention on the podcast because he values relationships and connections. [36:33] If you are new to a business, focus on building old school relationships. [37:25] SoCal Marketing Club had over 110 people at this event tonight. [38:00] Science behind relationships and a book called Influence. [38:45] Shortcuts: Authority, Liking, and Social Proof. [39:50] What’s next for SoCal Marketing Club! [41:00] From all of us, it’s been a pleasure. It’s not goodbye, but see you soon! [41:28] Parting words from everyone!